a draped curtain backdrop feature. 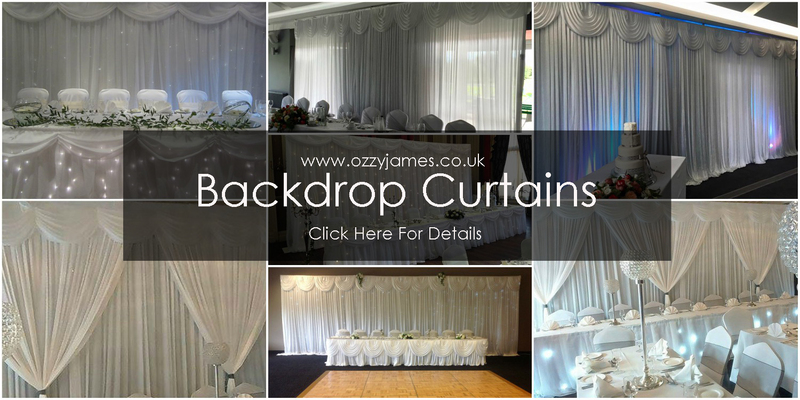 as the backdrop to your top table or stage backdrop. available in many of our discounted Wedding packages. we are sure to have a size suitable for your venue. silk curtain, which is complete with swags. but also looks great for Birthdays, proms and as a dance floor backdrop. (within 10 miles of L30). white starlit dance floor hire and chair cover hire.